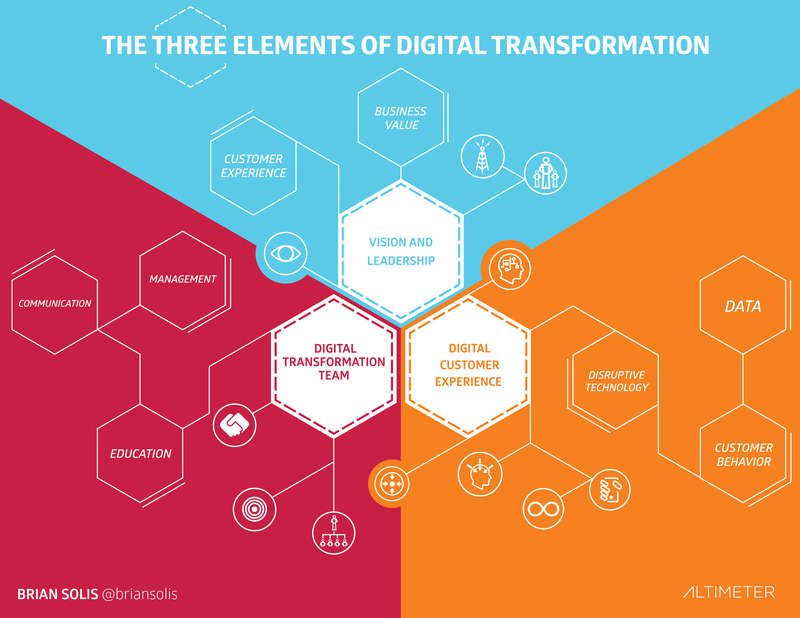 “A one-size-fits-all approach to digital transformation doesn’t exist. Altimeter interviewed 20 executives and social strategists at 14 companies about their experiences in adapting to the new digital customer experience. CMOs are getting more budget than CIOs, digital marketing is becoming a big priority for companies, brands are increasingly upping their budgets for mobile, social, and automation. 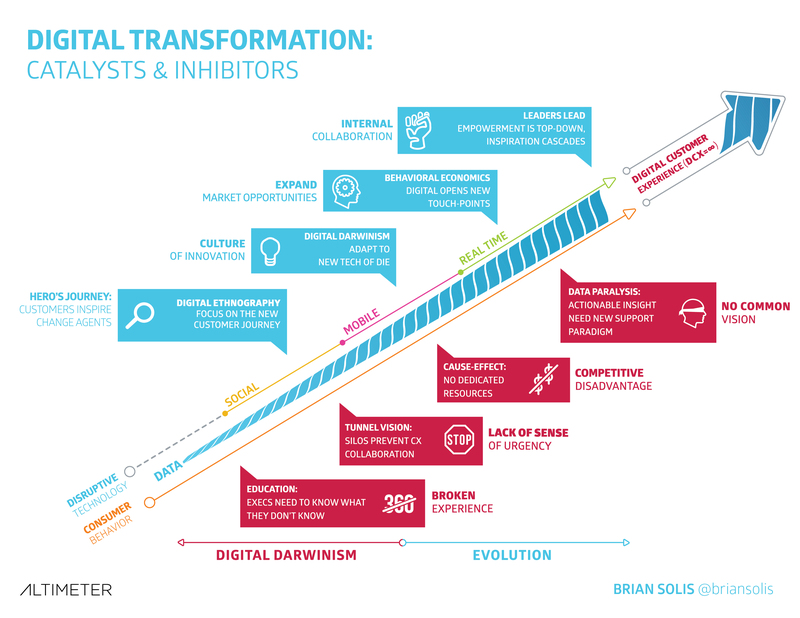 The catalysts for digital transformation have been technology-driven, not customer-driven. That means many businesses are embarking on a digital transformation only to find themselves not aligned with their digital customers’ expectations. 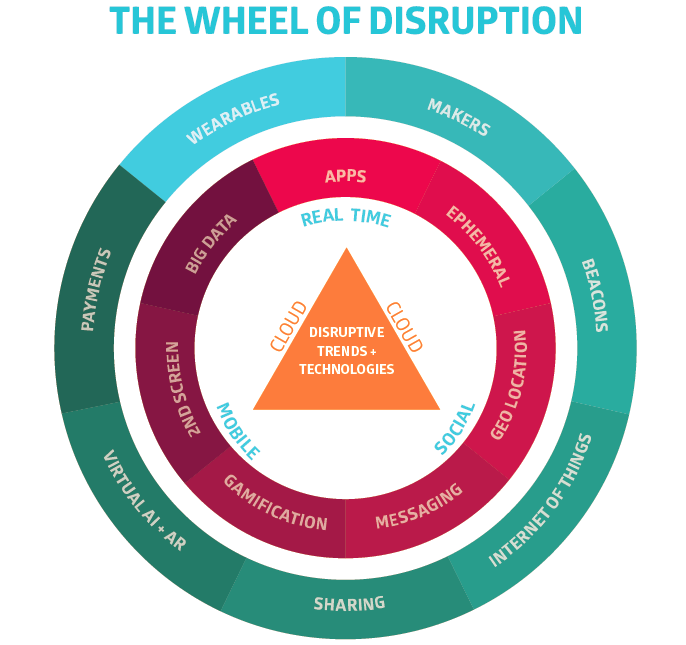 “If we focus on technology, we will miss the human factors disrupting and making changes,” Brian Solis said. Study what their digital customers want and expect, so that decisions are based on data and insight. The top companies understand, through data, that the customer journey has changed, and they’re able to optimize for the new journey. All companies going through this change have built out a “digital transformation team,” which is a cross-functional business unit—often called a center of excellence—that is dedicated to digital customer experience.